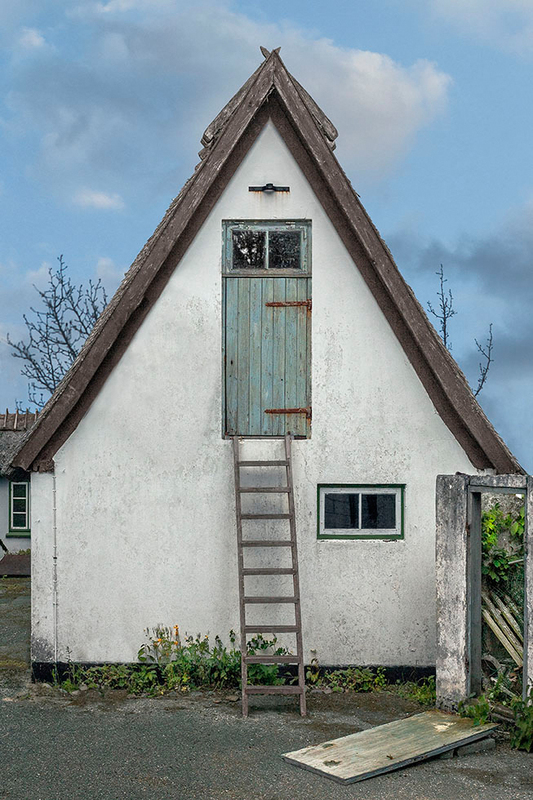 Image: © Marc Yankus, “Untitled (House with Ladder),” 2015, Archival pigment print. Marc Yankus’ series of photographs documenting the homes of Denmark will be on view in the inaugural edition of the Nordkystens Triennale 2016, a multi-venue exhibition curated by Danish artist Anja Franke. Marc’s works will appear at the Munkeruphus Museum, alongside artworks by Stig L. Anderson, Katja Bjørn, Giacomo Castagnola, Jesper Dalgaard, Gillion Grantsann, Søren Martinsen, Camilio Ontiveros, and Mirjam Thomann. The exhibition will be on view from June 4 – August 14, 2016. The North Coast Art Triennale 2016 will host a number of international and national artists who will be invited to explore the cultural and natural heritage in North Zealand, Denmark. This Triennale project is an inter-institutional and collaborative event involving cooperation of four institutions in North Zealand. Art and performances produced for the Triennale will be exhibited in Esrum & Møllegaard; Rudolph Tegner Museum and Statue Park; Munkeruphus; and Museum Nordsjælland. Tuesday – Sunday, 12:00 – 5:00 p.m.